We've had some great good news stories over the years, below are a selection of some of our favourites! 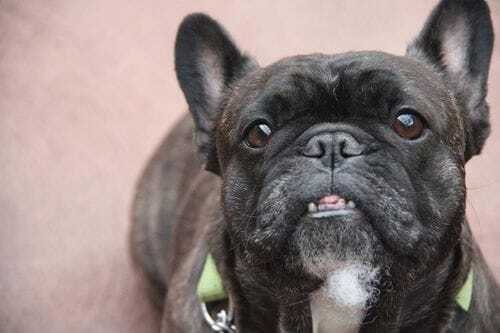 ​Hugo came to the rescue early in 2011, sold on the side of the road to an unsuspecting buyer, underweight, severe skin issues and struggling to breathe he ended up in our care, we got his soft palate & nares done and built his condition up. He eventually was adopted out to Chloe and family who gave him the best of lives and loved him with every fibre of their souls. Sadly Hugo passed away a year or so later of untreatable cancer, we thank Chloe and her family for giving Hugo a life he should have had from the start. Dude was an owner surrender, the owner felt they weren't giving him the time he deserved. We have great respect for people like this, they are putting the needs of the dog before their own. Dude was an easy dog but very intense, so we knew he needed a family that were busy and outgoing... along came Cherie & family and Dude was in his element and found his forever home. Gracie was an owner surrender who was not getting along with her families other dog and they felt that they weren't giving the best of lives. Jazz came to us with a few social issues due to being shuffled from one owner to another, her last owner surrendered her because of these reasons and so by the time we got her she was in a bad mood and itchy!. 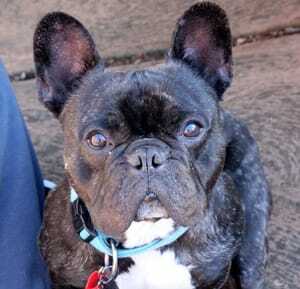 All is good with Jazz now and she lives her life happily with Boris the Frenchie and a very dedicated owners in Tom & Jessica who have taken the time to understand Jazz's little quirks. This was the saddest case we have ever seen, Al was an ex backyard breeding dog that had been severely neglected, we tried for weeks to get him off the owner but to no avail, she then dumped Al at the Lost dogs Home. We contacted the Lost dogs Home and they more than happy to let us take Al and give him the care he needed. Al was massively underweight, swollen feet with a very severe ear infection to the point that the Specialist wanted to do an ear ablation it was that bad!! We choose not to go down that road and worked hard and consistently to treat his ear and eventually we won, took us near on 9 months but it was worth it, Al regained a good percentage of his hearing. We also did his soft palate and nares. Al had a partner and her name was Dolly, we got her 3 days later from LDH. Al was eventually adopted out with Dolly to Sharyn & Family and you couldn't find 2 more loved dogs. Dolly came to from the Lost Dogs Home 3 days after Al, she was again from the same backyard breeder and again severely underweight, she also sported a bit of an attitude. We came to the conclusion that we couldn't separate the dynamic duo so while we were treating Al and all his needs, we did Dolly's patella’s and worked on her issues with other dogs. Al was the only other dog she could tolerate so we knew they had to go together and that they did, to Sharyn & family who have tried to help Dolly with pathological dislike of other dogs. Some days are good and some are not but they love her for who she is and work around her funny little ways...we couldn't have found a better home for these two amazing dogs. Olive came to us as a owner/ surrender in 2013, her owners lives had changed and as she was on the elderly side and was not too fond of children, they felt it was in her best interest that she find a new home. 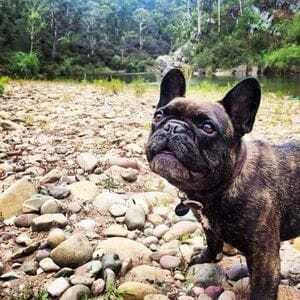 ​Robert & Family came along with their beautiful boy Teddy the frenchie...now Olive is living the best of lives surrounded by people that love her so much. 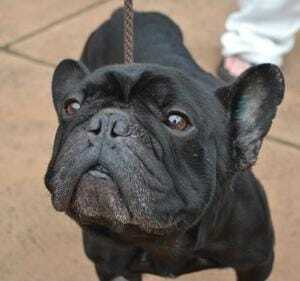 Barry was a surrender release ex breeding dog, he is actually Frenchie X Pug and such an incredible gentlemen and at the time one of the most popular dogs we had on our Facebook page...how could he not be, look at that face! 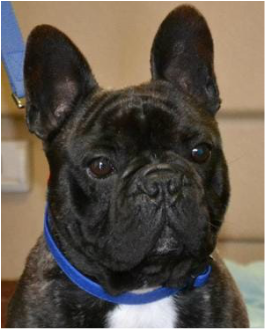 We got Barry desexed and fixed his soft palate and he was good to go to his new home. Barry now lives a life of leisure and love with Jennifer and Family. Dycie wasn't too fond of kids and Burger was too rambunctious for kids so the search began for that very special family and eventually we found them in Jennifer and Glen, we are pleased to say that 'Old Lady & the Young Buck' are living the dream! Rowdy came to us as a pup with Pulmonary Stenosis and both his ears down probably due to the lack of blood flow in his body. We got in contact with Arthur House, our specialist, who arranged for Dr Wooly to do heart surgery on this vital young man...all went well and now Rowdy is living the beach bum life with his adoring owner Jen. His ears never went up, but who cares, he is a gem. 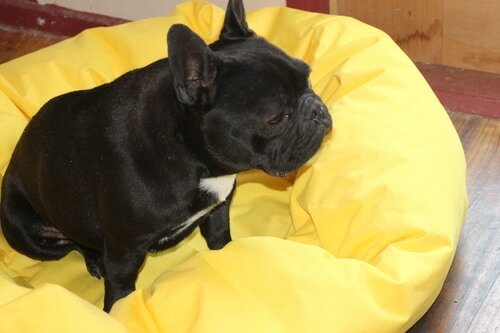 Bloss came to us as an ex breeding girl who had a bit of an anger management problem. 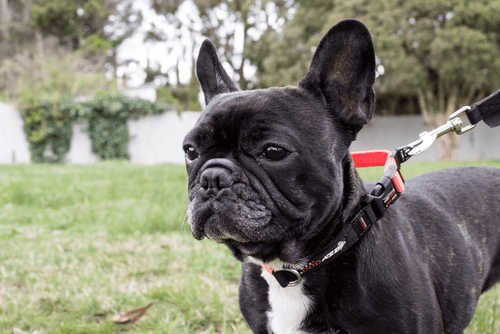 With these sorts of dogs we know we have to careful about where they are placed, if they are placed in the right environment a lot of those behavioural can dissipate because the dog is with the right people. Bloss found her people in Karena & family and hasn't looked back she has a lovely social life from bike rides to playing soccer with the kids. 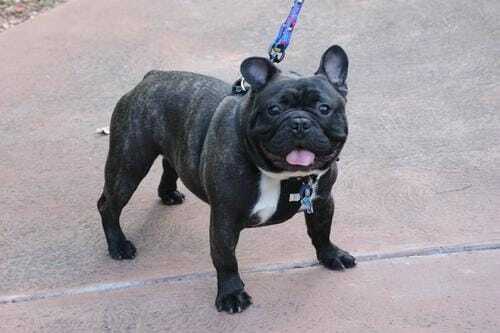 Oh what a character this boy was, part Frenchie and something else and on the larger side, he had been bought from a Petshop as a pure bred for are rather high price, sadly the owners didn't find out till later they didn't get what they paid for. Cheech was a rather an intense dog so we needed sensible, caring and dog savvy people to take Cheech into their hearts, we found Romy and her partner Adam and they were happy to foster Cheech for how ever long it took, well we didn't have to wait long Romy & Adam decided to adopt Cheech and now he is loved and cared for with understanding of his little quirks. Archie’s previous owners wanted to do the best by Archie and with young kids to manage they felt they were not giving Archie the time he needed. Some owners make requests to us for what they want for their dog so we do our very best to honour and respect them. They did not want Archie to be left alone so we set out looking for someone that could take on Archies bold as brass attitude and had the ability to take him with them when they went to work...we for sure found that in Lindsay... everywhere she goes Archie goes, he now has a pretty impressive street rep and owner and dog suit each other to a tee! Ralphie came to us with a few grass allergies and his owners felt he wasn't getting the attention he deserved due to their change of circumstances. We worked solidly on Ralphies issue and we got him to a manageable level, we knew he could never truly be a dog that could be left out in the backyard sort of place for any great length of time, so we went in search of people that could manage his issues with the diet we had in place and the time to spend with him. 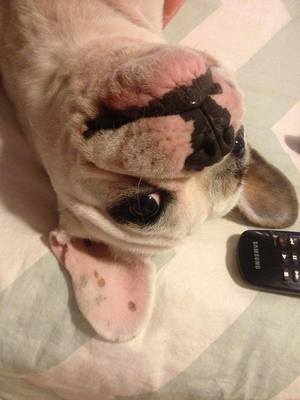 Chez came to us as an owner surrender, they couldn't spend the time with him because of changes in circumstances. Chez needed a strong owner because he was such a mandog, he is a sweet boy with a lot of personality but he was not for the faint hearted;)... he was and still is, to a degree, a headstrong boy. Then we found Luke, who has taken on Chez in his stride... no other way to describe the two of them but as the best of mates. 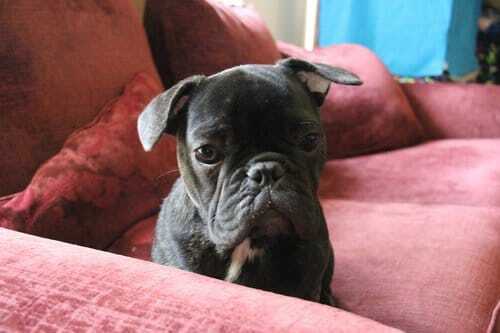 Nova came to us as an owner/surrender because she had been a tad naughty. She liked to escape and she really had a taste for chooks! She also had a few skin conditions and ear issues which we fixed up as well as having her desexed. The Novstar is an endearing little girl with a terrific sense of humour. She loves to play and run off in the distance without a care in the world... we knew we had to find somewhere safe and secure for this little wanderer! It took us a while, but eventually Daniel & Ros came along - she now has constant company and a nice little unit to patrol. Far, far away from any chooks! 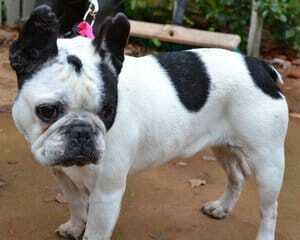 Bobbie came to us as a surrender in a team of three girls. Being the youngest of the three, we thought maybe she would be the easiest - how wrong we were! 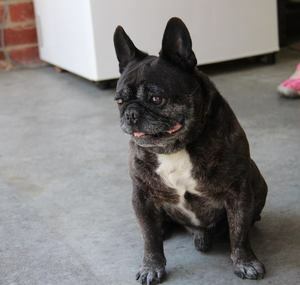 Previously Bobbie had very little social interaction and in a way was scared of her own shadow. One thing we did learn is that she needed to be away from the other two girls... a little bit of bullying was happening and we knew this would not be good for her future well-being. We were so fortunate to find Michaela & Te (Foster carers) who took her into their home and showered her with love and stability. We cannot thank them enough for the care they gave Miss Bobbie. 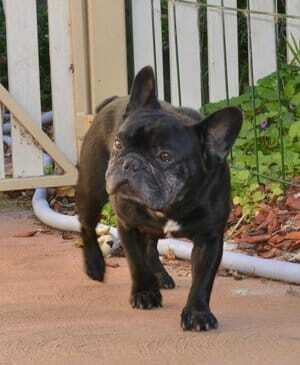 Eventually we found the right home for Miss B, now renamed Maggie and she is living the dream with Corrina & family. We thank them for taking the time to understand Maggie and giving her the life she deserves. 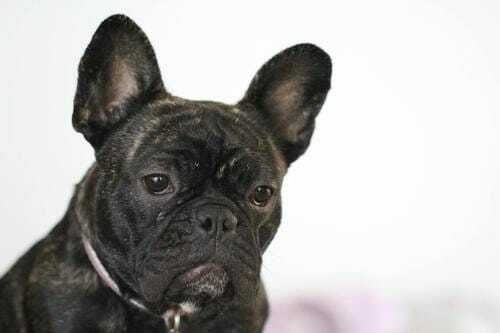 Pearl is an owner surrender, life changes sadly and it was with a heavy heart her owner decided to put her into our care. What a rocket of a girl! She has a strong personality and knows what she wants and grabs it with both paws. In saying this, she is a real snuggle bug at heart. 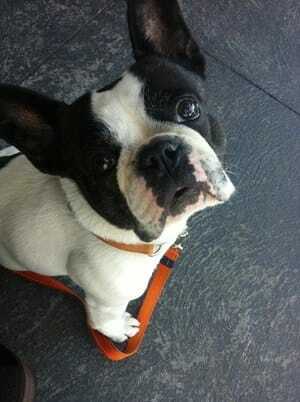 We found her perfect owner - Natasha, George and the irresistible Bronson the Frenchie. Life couldn't be better for Pearl and we are so happy for her! Daisy came to us as one part of a trio, she is the middle aged one that did not come with as much baggage as the other 2 girls. Daisy is great with people and some children but at times struggles with other dogs, she can be a little dominant at times so we think it is best if she is played in a home with no other dogs. 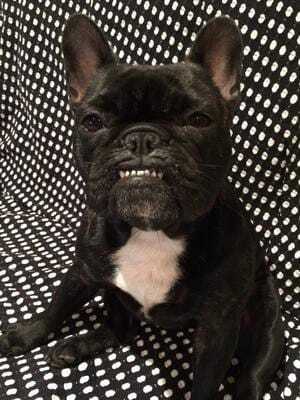 She eventually found her place in the world with Delisa & Matt....who are now truely converted Frenchie addicts :)! In time he settled down and learnt a little bit of respect for other dogs but we knew we had to find him a home with a relatively young but mature couple that could feed his need for play, adventure and monitor his diet. ​We eventually found Elizabeth and Ryan. 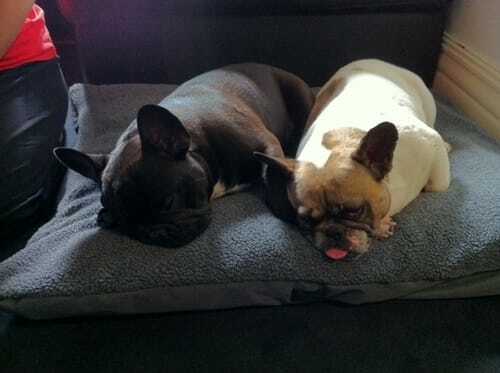 They are perfect for Sir Walter and we are so thrilled that they care for him so much.